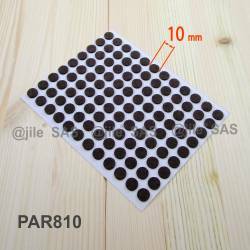 10 mm diameter round felt pads BROWN - sheet of 108 self-adhesive furniture pads. 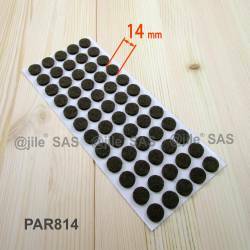 14 mm diameter round felt pads BROWN - sheet of 60 pads fro hardwood floors. 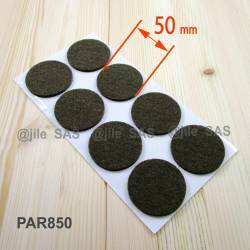 20 mm diameter round felt pads BROWN - sheet of 50 sadhesive scratch protector felt pads. 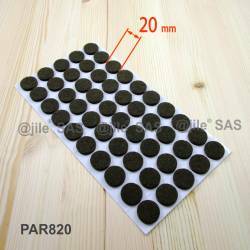 22 mm diameter round felt pads BROWN - sheet of 50 self-adhesive wood protector felt pads. 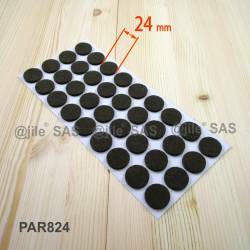 24 mm diameter round felt pads BROWN - sheet of 36 slef-adhesive felt pads. 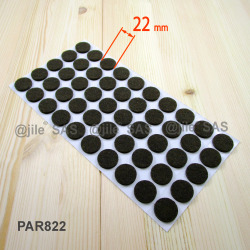 28 mm diameter round felt pads BROWN - sheet of 24 stick-on furniture pads. 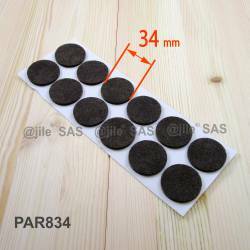 34 mm diameter round felt pads BROWN - sheet of 12 stick-on pads for hardwood floors. 40 mm diameter round felt pads BROWN - sheet of 12 stick-on felt pads. 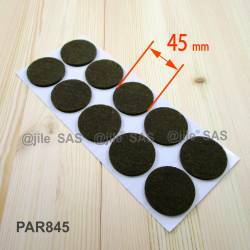 45 mm diameter round felt pads BROWN - sheet of 10 stick-on furniture pads. 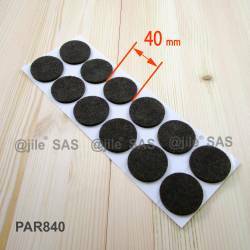 50 mm diameter round felt pads BROWN - sheet of 8 anti-scratch stick-on pads.